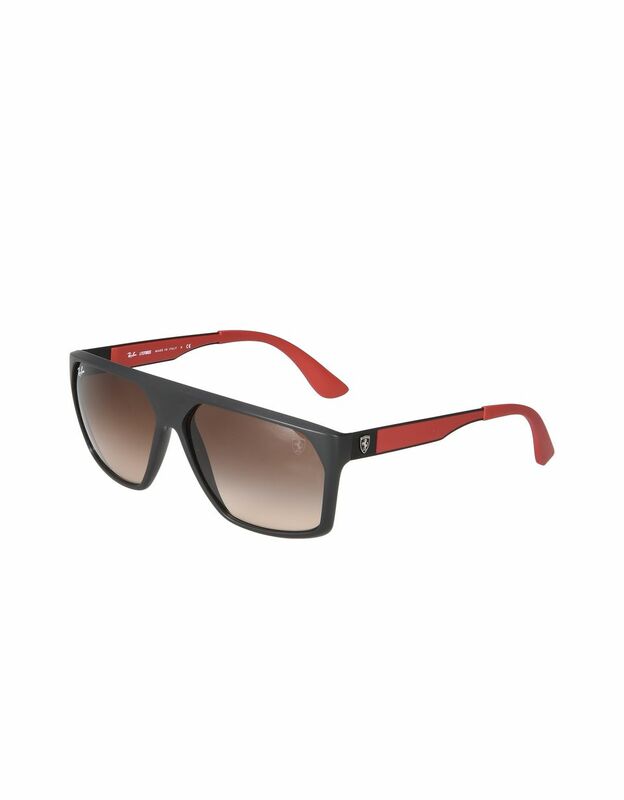 Scuderia Ferrari and Ray-Ban are proud to introduce the Paddock sunglasses, which are now available exclusively at store.ferrari.com and in Ferrari stores. 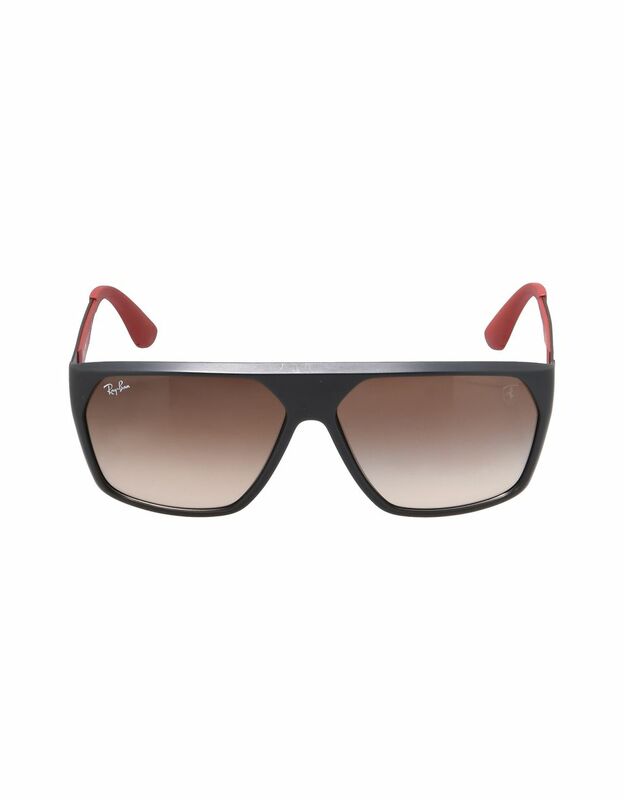 Geometric shapes and aggressive lines dominate these sunglasses developed by Ray-Ban. 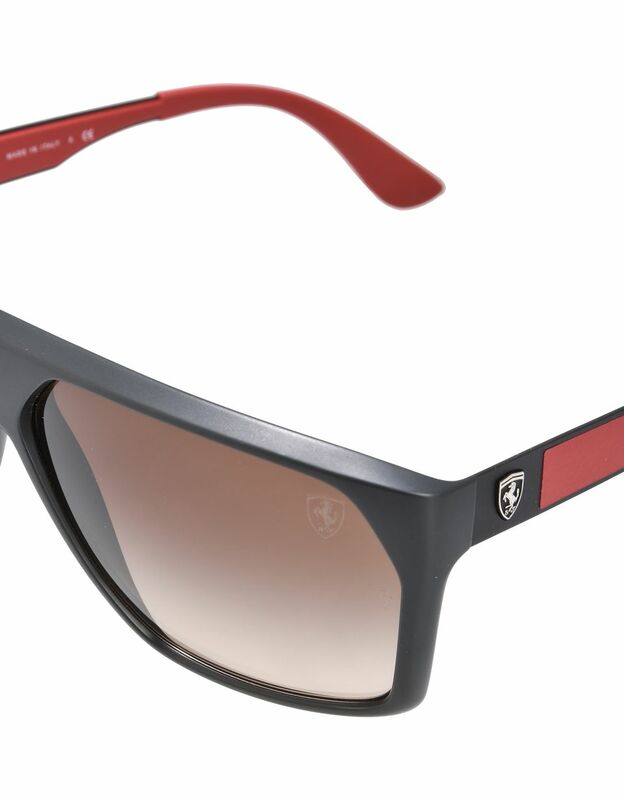 They were specifically designed to be worn with the clothing and accessories in the Paddock capsule collection, Scuderia Ferrari's tribute to the glamour of F1 race tracks. This model is a contemporary take on the timeless style of the Scuderia Ferrari drivers who raced from the end of the 1960s to the beginning of the 1970s. 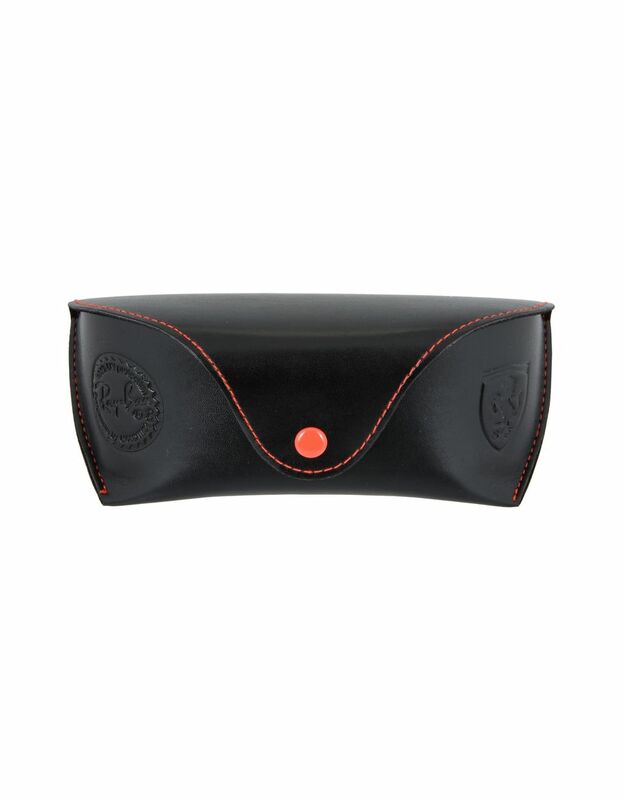 The sunglasses feature technical materials that successfully blend vintage traits with innovative solutions. 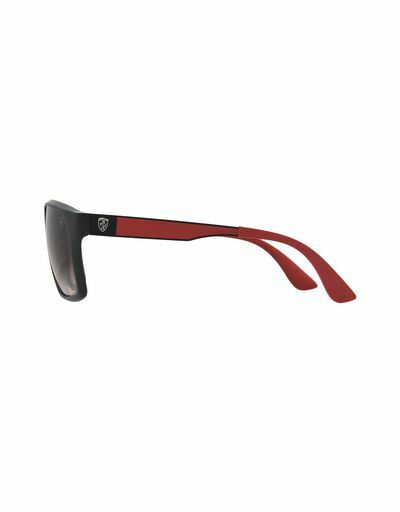 The black frame and metal arms mean these sunglasses will get noticed, while the earpieces in bold red rubber complement the graduated brown shading on the lenses. These sunglasses are perfect for a style that boasts studied casualness.